Are you looking to gain more exposure for your Brand OR Products this holiday season?? Make Our Own Network has the perfect opportunity for you! Get your Brand featured on this years Ultimate Holiday Gift Guide List! Bloggers YOU can join in too! Save yourself the time it takes to prepare such a detailed list and gain the traffic which comes from featuring this large collection! 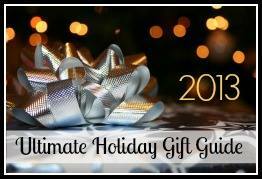 Please contact MakeOurOwnNetwork@gmail.com for all information regarding the Ultimate Holiday Gift Guide AND to get signed up!